Window treatments can set the mood of a room by letting in natural light or keeping it out. When it comes to choosing a new window treatment, there are several things to consider. Think about what you’re trying to accomplish. The real purpose of window treatments is to control the amount of light that enters a room. They can also provide insulation around a large window to help keep your house warm in the winter and cool in the summer. Window treatments also give you the opportunity to dress up a window which is why they come in so many styles and colors. The following tips should help you decide on the correct window treatment to provide the tone for your room and match your style. The first step in deciding on what kind of window treatment to buy depends on how much privacy and light you need. In a room where privacy is the main concern, you will want a window treatment that keeps people from being able to see inside your room but still lets in some light. Blinds and shutters work well because they can be adjusted and angled as needed. For a room where privacy isn’t an issue, curtains or drapes can be used to allow in maximum light. Sheer fabrics provide the best of both worlds by allowing light in and also creating some privacy. Before you head out the door to buy new window treatments, measure your window or windows. Be sure to include the window trim in your measurement. Window treatments come in all shapes and sizes, and you may be limited to what you can buy based on the size of your window. Blinds and shades go inside the window frame where curtains, drapes, and shutters go on the outside. You will need to know the size of your window to buy or order the correct window treatment. Blinds are one of the most common window coverings. They are inexpensive, easy to install, and fairly attractive. Blinds come in wood, plastic, and metal, and in a variety of colors. They can be fully closed to block out light and protect privacy. Blinds can also be raised to let light in or adjusted to let only some light in. Blinds come in many widths and lengths, and the slats can run vertical or horizontal. Slats can be wide or narrow. You can buy one long blind to cover a large window or two smaller blinds to break up the space. Blinds are usually mounted inside the window frame and take up no room space. Blinds are easy to repair if they break. Broken slats can be glued or replaced, and a broken string can be replaced with a little bit of work. Blinds are fairly easy to clean and will last for many years. If you have a limited budget, blinds are a good choice for covering windows. 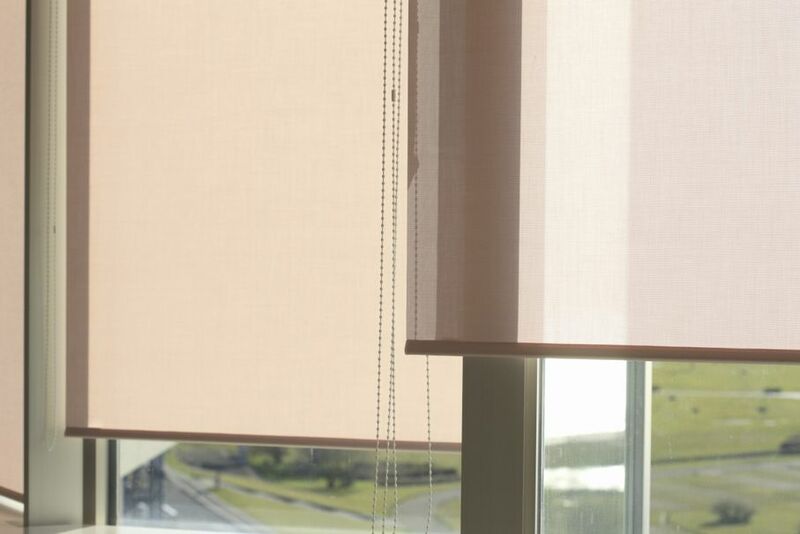 Shades are not as common as blinds in most homes, but they’re still an inexpensive and effective way for blocking light and maintaining privacy. Roller shades can give a window a low-profile look. 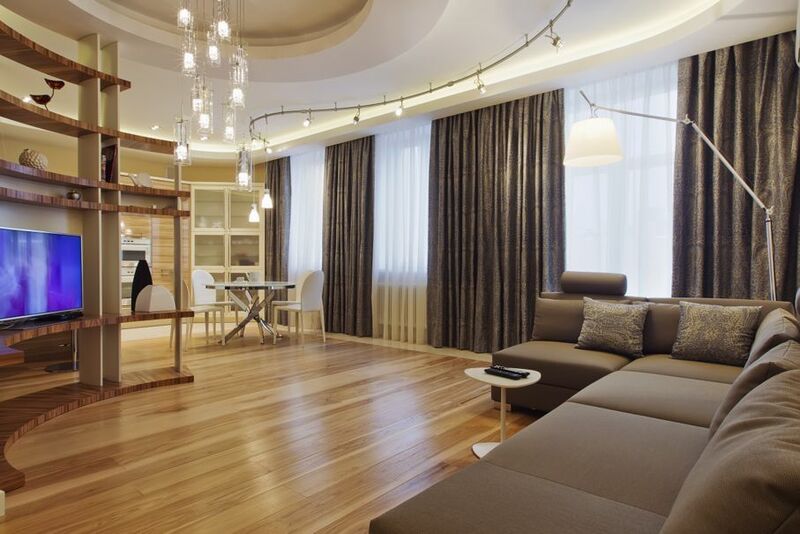 This may appeal to people who don’t want a window to be the focal point of a room. Roman shades and bamboo shades can easily be the main attraction of a room for those who want to highlight an attractive window without covering it up with drapes or curtains. A closed Roman shade sits flat against the window so you can clearly see the fabric and pattern. As it’s raised, the fabric folds and stacks creating a textured and unique look at the top of the window. 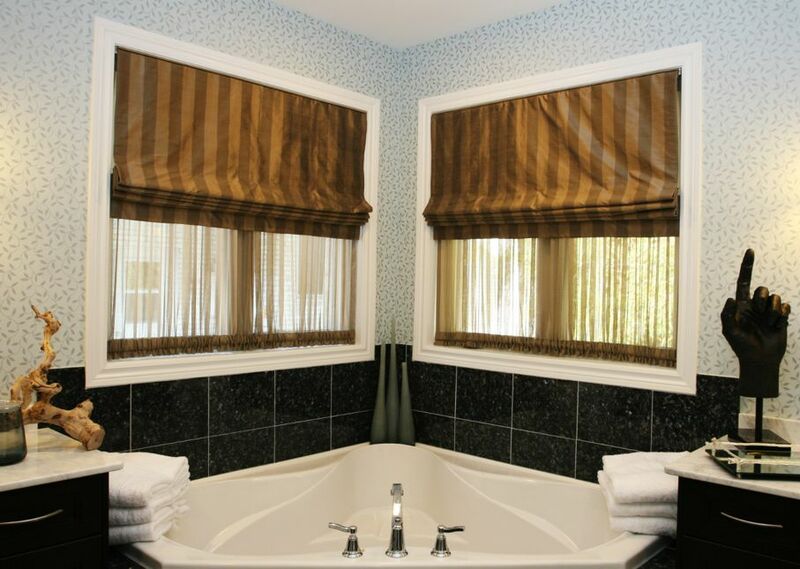 Shades can be used with privacy liners to transform a room into a sanctuary of peace and quiet. Shades are a great option for media rooms, small bedrooms, and home offices. Like blinds, shades can be purchased from any hardware store or online specialty stores. Indoor shutters are another attractive window treatment option. Although rather expensive, they give a window a unique and timeless look and offer the same benefits of blinds and shades. Shutters often have to be custom made and require special hardware for mounting. Shutters are typically made from wood or vinyl. Traditional shutters have 1-inch louvers which provide privacy but block most of the light when closed. Plantation shutters have wider louvers which allow more air and light. 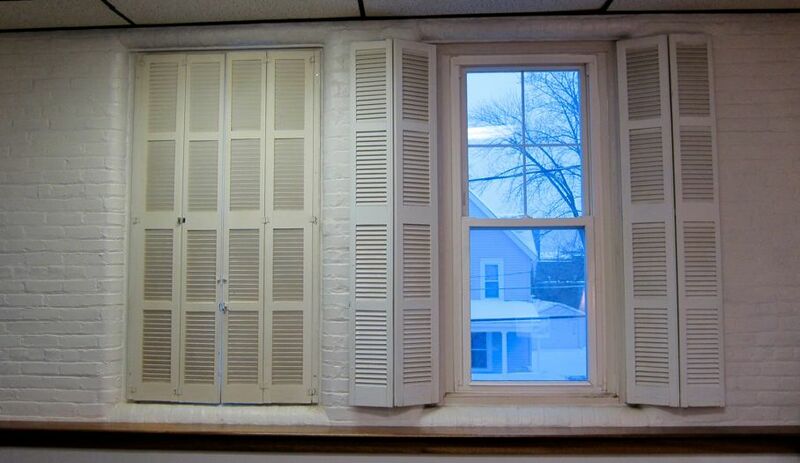 Of course, shutters can also be opened to maximize light and your view. Although a bit of an investment, shutters will last for many years and make quite an architectural statement. Drapes differ from curtains in that they are usually made from heavy material and go from the top of the window to the floor, regardless of the size of the window. Drapes are more for large windows in large rooms. Because large windows can be drafty, drapes offer insulating properties. Thick drapes also offer soundproofing, making them a good choice for windows near highways, train tracks, or other noisy settings. Unlike curtains which are usually bright and cheery, drapes are more formal and can give a room a somber feel. They tend to be dark colored or have a floral pattern. Drapes are good for dining rooms, living rooms, and rooms where guests sit to eat or just visit. They can be used with sheer curtain panels to allow light in. Drapes are great for adding a touch of elegance to a room and can help accentuate a high ceiling. Shopping for new window treatments can be a bit daunting with all the options available. Interior design tools can help when it comes to colors and textures, but choosing the correct window treatment is more about the room and your desire for light, privacy, or both. And don’t be afraid to give your rooms some personality. With all the choices available, there’s no reason to go with boring white mini blinds or shades anymore.